In a cramped row house on the border of Washington D.C., two stories of big dreams take place. 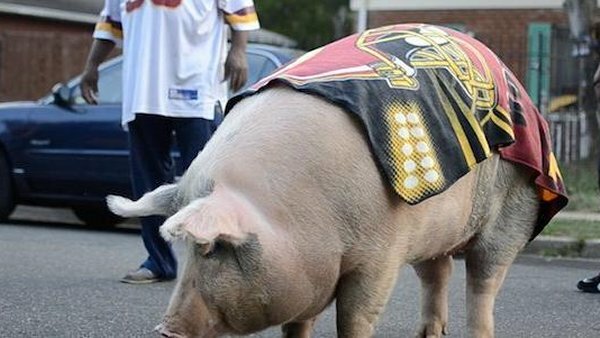 Floyd and his family have raised a 1,000 pound pig in their backyard, and are determined to turn her into the team mascot for the Redskins football team. Floyd puts his plan into motion, but the pig, named Miss Charlotte, draws unwanted attention. A few blocks away, Rico and Scooby, two teenage single fathers and best friends, are hanging around the neighborhood as they scheme up a way to sell their new dog. Joseph Frank & Zachary Reed met in middle school. As they grew older, they became closer through playing sports together in their neighborhood. Through their experiences they decided to make a movie to show their neighborhood in a better light. This is their first movie of a series that they plan to produce centered on the people of the DC area. Everything in this movie happened, more or less. The Rich family really tried to turn their pet pig into the Washington Redskins' mascot. Rico and Scooby are truly teenage single fathers and best friends. Some of the events in this movie were staged, but everything was based on reality. I'll go as far as to say that this film straddles the line between documentary and fiction harder than Paul Revere straddling that horse on a cold mid-night. The actors in this film played themselves. Zack and Joe didn't cast any characters. The characters are people that we know and even grew up with, who helped us outline and design the stories of Sweaty Betty. We put them in different situations and would ask how they would react? Then they did the rest. This was the basis of their improvisation. We did not use any scripts. Joe was the only one with an outline because his memory stinks. The rest of the group worked off the top of their head, without ever looking at one piece of paper. We are so proud of the characters in this movie. We had no idea how well they would play themselves on camera considering this is everyone's first film, but the results speak for themselves. Zack and Joe made Sweaty Betty in order to start new careers for themselves as filmmakers. Zack works as a meat processor at Sam's Club and Joe works as an accountant. We like movies so we decided to make one about our neighborhood. The problem was, we had no idea what the movie was going to be about. We didn't have any money so we knew this movie had to be about conversations. Nothing extravagant, just real people and good stories. After work, Zack and Joe started watching season after season of Curb Your Enthusiasm to learn how to develop a story into episodes. One day while Joe was jogging through Kentland – a small neighborhood that borders the Washington Redskins' stadium – he stopped to talk to Floyd Rich who was standing over his 1000 pound pig named Ms. Charlotte who was laying under the shade of a tree next to her favorite fast food restaurant Checkers. Ms. Charlotte grew up for the past two years in the Rich Family's backyard as the only pig ever to live in Kentland. She has become a local celebrity because she's been seen countless times walking all over town. When Joe asked Floyd if he wanted to make a movie about Ms. Charlotte, Floyd's response was non-chalant, “Yeah, we could do that.” That night, Joe told Zack about making a movie about the pig in Kentland, Zack replied, “We should have been thought of that.” The other story in Sweaty Betty revolves around a pair of 19 year old single fathers, Rico and Scooby. Maybe a week after Zack and Joe began working to outline the story about Ms. Charlotte and the Rich Family, Joe was walking into the local convenience store to buy a Mountain Dew. Outside the store, Rico and Scooby were standing with a 6 month old pup. Joe asked them about the dog and how they got it? They said that a man dropped it off to them because he didn't want it any more. Later that day, they decdided to make some money by walking around the neighborhood trying to sell the pup. Joe called Zack and said we have the second idea for our movie. From a directing and editing standpoint, Zack and Joe wanted to show life in real time. There are six parts to this movie and six cuts. In real life, there are long periods of time when conversations unnoticeably slides into banality. And sometimes even boredom sets in. We wanted to show two great real-life stories, but just as important, we wanted to show the pace at which these real-life stories unfold. Therefore, the audience may get bored at one point or another during this film. We are super realists when it comes to creating Sweaty Betty. We don't like being bored as much as the next person but this movie only made sense if we kept it as real as possible without speeding anything up. One criticism that we received from our trailer is that it looks like we just picked up a camera and started filming. Well, that's not a critcism. That's exactly what we did. We bought a Nikon d5100 from Best Buy and started filming. Zack and I are getting excited that this movie has made it into SXSW and that maybe we can make a career out of filmmaking. We will be striving to learn as much about directing, storytelling, and cinematography through our next projects. 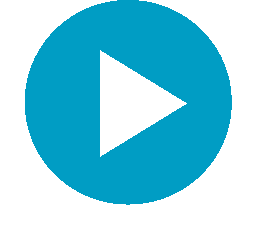 We also came to realize that this movie and future movies can create opportunities for people to get involved in filmmaking. There are other more specific goals that we have concerning the main characters of this movie, but we don't want to talk about those or else it may give away pieces of the movie. The two themes to this movie are making money off of animals and having fun while showing love back to the animals.